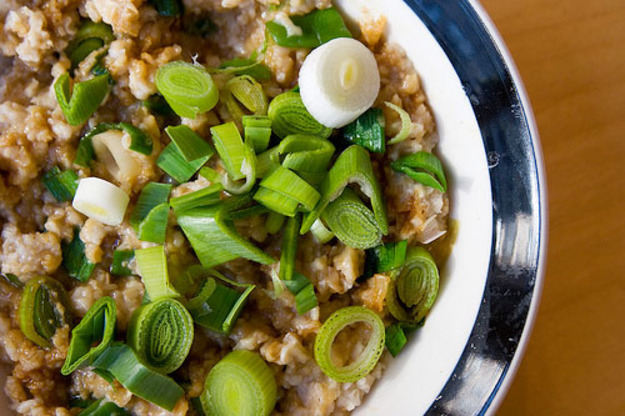 Oatmeal is a breakfast staple. We have instant oats, overnight oats, oatmeal bars, and good old fashioned Quaker oats in the iconic cardboard canister. Oatmeal is a great way to start the day, as it is full of healthy fiber, and protein. Classic toppings tend to err on the sweet side, with fruit, nuts, and brown sugar being the most popular. This can cause spikes in blood sugar, and depending on how much of sweet stuff you are using, it can turn your healthy breakfast into a calorie bomb. 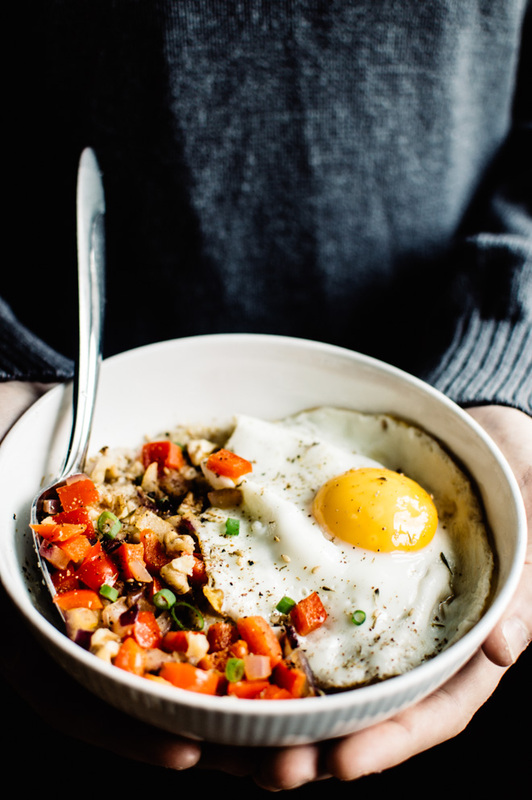 Maybe it’s time to rethink the oats, by creating savory versions that are filling and nutritionally balanced. 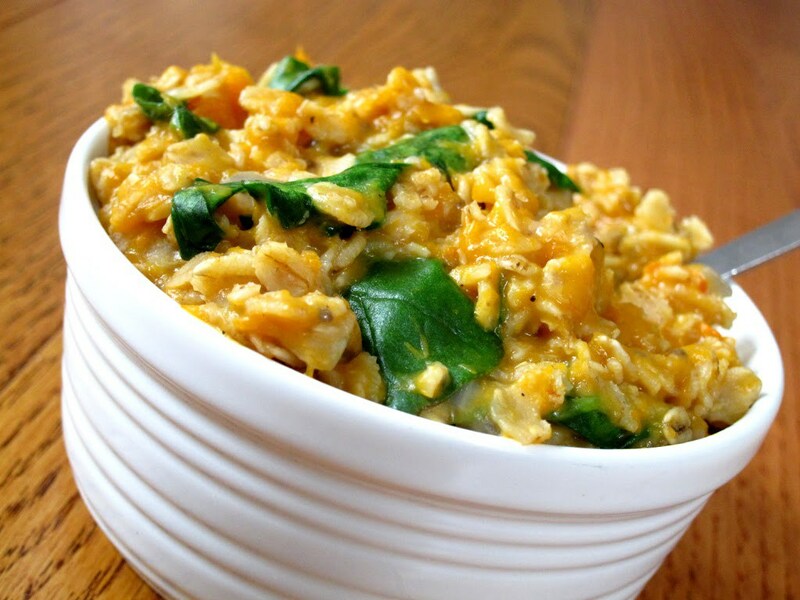 These taste so good, you might want to consider oatmeal for dinner! 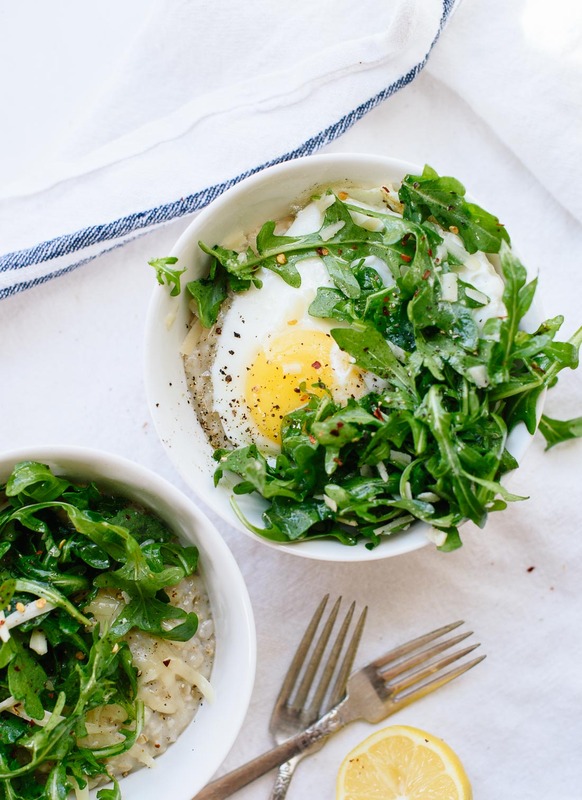 Cookie+ Kate topped thier savory oats with an egg and a pile of greens. Healthy Nibbles and Bits mixed in peppers and onions before adding white cheddar cheese and topping it with an egg. The Full Helping’s mushroom, kale and miso oatmeal has us drooling! 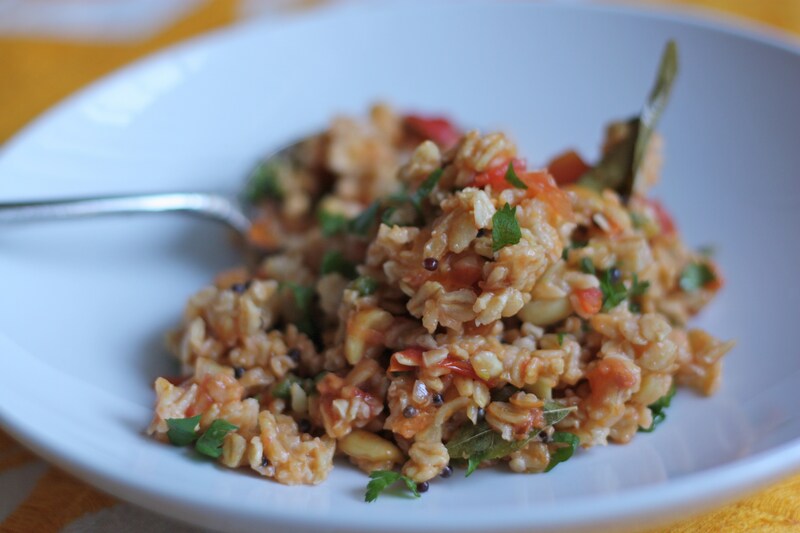 The Mija Chronicle’s oatmeal has a Thai influence, using peanuts, cilantro and ginger as flavoring. Healthy foodie Mark Bittman tosses scallions and soy sauce into his morning oats, as he pursues his goal of eating a vegan diet by day, and carnivorous one by night. The Oatmeal Artist uses butternut squash in their take on the concept, as well as other versions on their oatmeal exclusive blog. I’m inspired! What will you add to your oatmeal? This entry was posted on October 6, 2016 at 6:31 am and is filed under Food. You can follow any responses to this entry through the RSS 2.0 feed. You can leave a response, or trackback from your own site. what a fantastic idea, thanks for collecting the recipes! to be honest, i never considered putting another other than fruits and nuts on my oats, but i’m definitely trying it now! It makes sense..oatmeal is a grain, so we could use it the way we use farro, quinoa or even rice, although the consistency is a bit different. 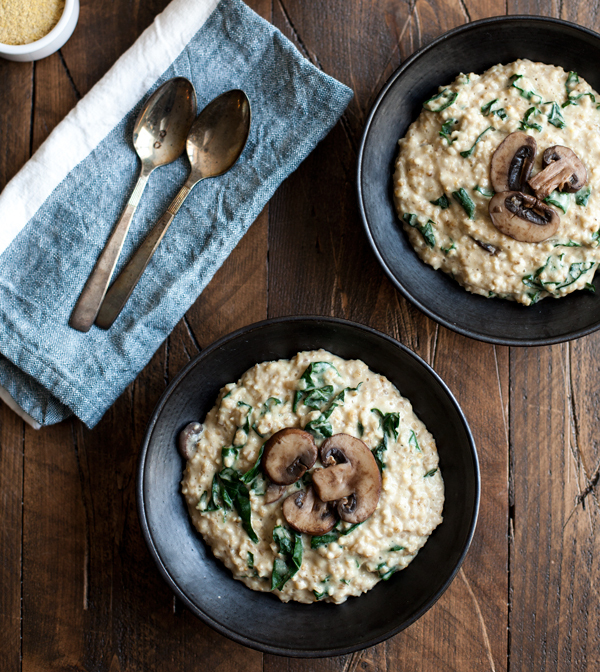 I am going to try an oatmeal “risotto” with broth, parmesan cheese and mushrooms next time!